To wipe a hard drive means to completely erase the drive of all its information. Deleting everything does not wipe a hard drive and formatting does not [always] wipe a hard drive. You’ll need to take an extra step to wipe the hard drive completely. When you format a hard drive or delete a partition, you’re usually only deleting the file system, making the data invisible, or no longer blatantly indexed, but not gone. A file recovery program or special hardware can easily recover the information. If you want to make sure that your private information is gone forever, you’ll need to wipe the hard drive using special software. Important: See Tip #2 at the bottom of the page for information on a “simple” wipe using the format command in Windows 10, Windows 8, Windows 7, and Windows Vista. Time Required: This could take several minutes to several hours depending on how big the drive is and what software/method you choose to wipe it with. Back up anything you want to keep. When the hard drive wipe is complete, there will be absolutely no way to get anything on the drive back. Tip: If you’ve already been using an online backup service, you can safely assume that all your important files are already backed up online. Important: Sometimes multiple drives exist on a single hard drive. You can view the drives (volumes) that sit on a hard drive from the Disk Managementtool in Windows. Download a free data destruction program. Any of the first eight programs we recommend on that list will work great because they can be used to wipe a hard drive from outside of Windows, a necessary feature if you want to wipe the hard drive that Windows is installed on. Tip: I’m a big fan of DBAN, our first pick on that list. It’s probably the most widely used hard drive wiping tool. See our How to Wipe a Hard Drive with DBAN tutorial if you’re nervous about hard drive wiping or prefer a more detailed walkthrough (yes, with screenshots). Note: There are actually several ways to completely erase a hard drive but using data destruction software is the easiest and still allows the hard drive to be used again. If you’re using a CD or DVD, this usually involves burning the ISO image to a disc and then booting from the disc to run the program. If you’re using a flash drive or other USB drive, this usually involves burning the ISO image to the USB device and then booting from that USB drive to get started. Wipe the hard drive according to the program’s instructions. Note: Most data destruction programs utilize several different methods to wipe a hard drive. If you’re curious about the effectiveness or methods used to complete the hard drive wipe, see Data Sanitization Methods. 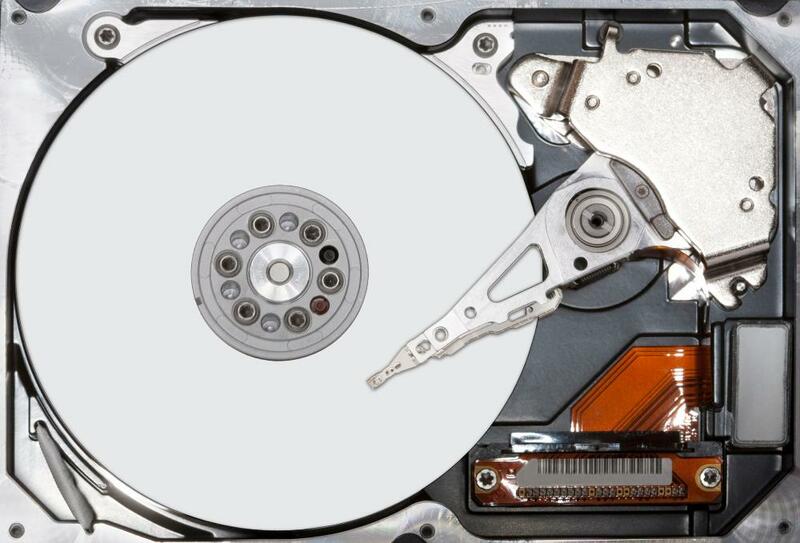 After properly wiping a hard drive, you can be confident that whatever information was on the drive is now gone for good. You can now install Windows on the drive, create a new partition, sell or give away the hard drive or computer, recycle or dispose of it, restore your backed up files, or whatever else you need to do. Wiping a hard drive is operating system independent, so long as you use one of the bootable tools from our list. That means that you can use this same general process to wipe a hard drive if you have Windows 10, Windows 8, Windows 7, Windows Vista, Windows XP, Linux, or any other PC operating system. Beginning in Windows Vista, the format process changed and a single write zero pass is applied to each standard (non-quick) format. In other words, a very basic hard drive wipe is performed during a format. If a single write zero pass is good enough for you, consider your drive wiped after a regular format in Windows 10, back through Windows Vista. If you want something even more secure, go ahead and follow the hard drive wipe instructions above. Keep in mind, too, that this is a wipe of just the partition you’re formatting. If you have more than one partition on a physical hard drive, you’ll need to format those additional drives as well if you want to consider the entire physical disk as “wiped”. If what you really want to do is just make sure that files you delete are really gone, a data wiping tool is more than you need. See our Free File Shredder Software Programs list for programs that “destroy” individual files on an as-needed basis. Many of those “shredder” programs also do what’s called a free space wipe, which is a wipe of all of the free space on your hard drive, which would, of course, include any of your previously deleted files.